I was drawn to the sweet floral scents floating in the air at the City Creek mall and wandered in. 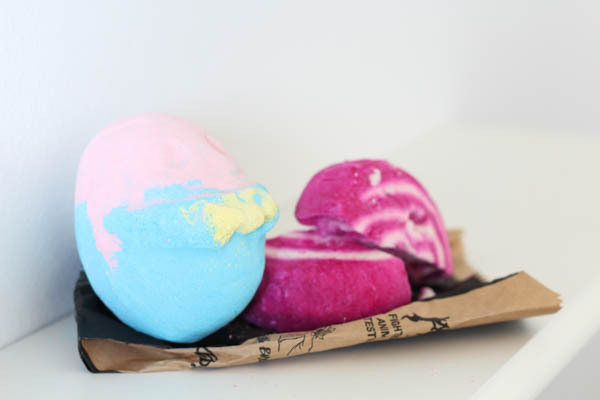 I found myself at Lush, and was drawn to the bright colors of the bubble bath goodies. I started off with bubble bars, and have slowly expanded to the skincare and haircare products and have loved every bit of it. Their products are made using the freshest ingredients, and are perfect for my sensitive skin. 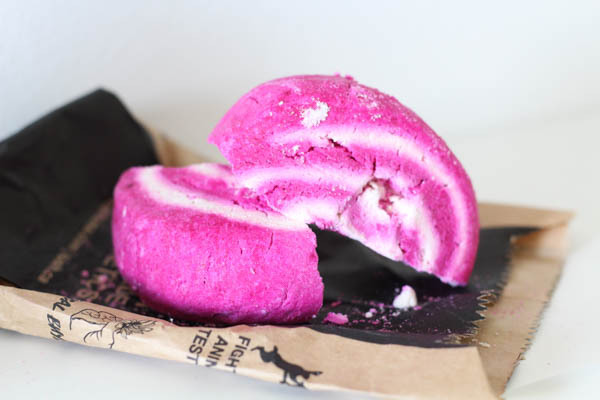 This is not a sponsored post, I just love Lush products so much and want to share the love! Here are a few of my current favorite products! 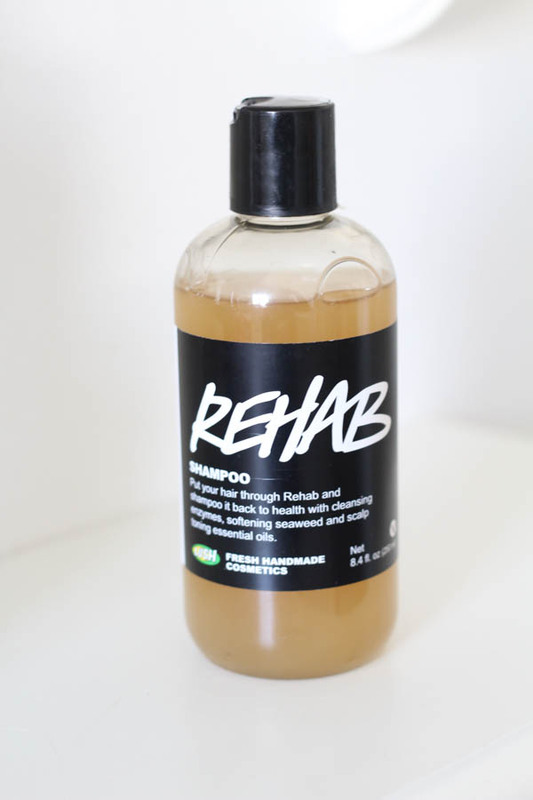 I picked up a sample of this conditioner and paired it with the Rehab shampoo. ERMERGERSH. The smell is amazzzinngggg. 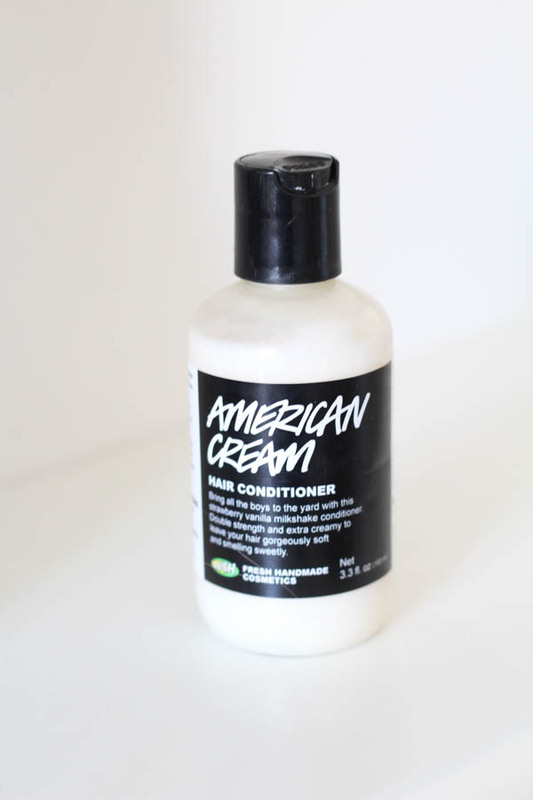 My hair is soft and smells like strawberry vanilla; can't get any better than that. I've talked about this a million times on my blog, but my skin is ridiculously dry being in Utah. 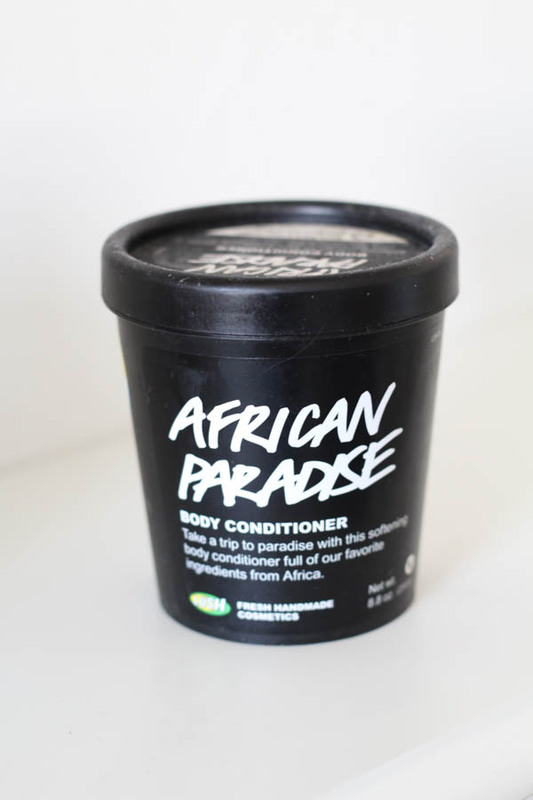 This body conditioner has limited my slathering of lotion post-shower. 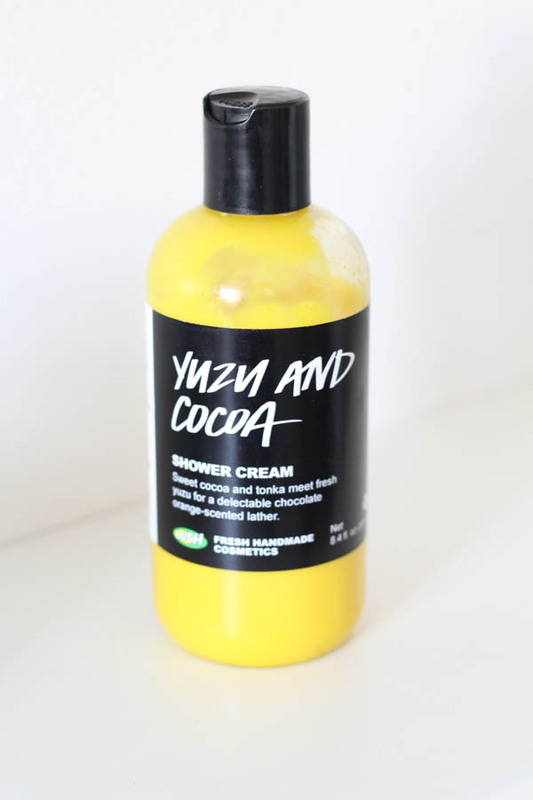 I cover my skin in this right before I hop out of the shower, do a quick rinse then voila! My skin is soft and hydrated. Score. 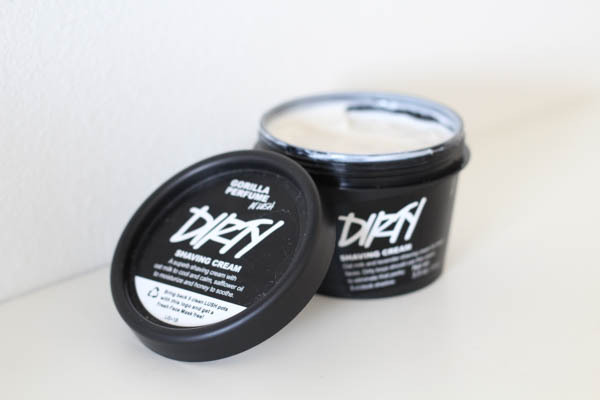 This is actually Ryan's Lush shaving cream that I stole for this post. One of the many times he has reluctantly followed me into Lush, an associate lured him over to the men's products and sent him home with a shaving cream sample. Ryan got hooked so I treated him to a bigger tub of it, he swears by it! Try out a Lush product and let me know what you think. 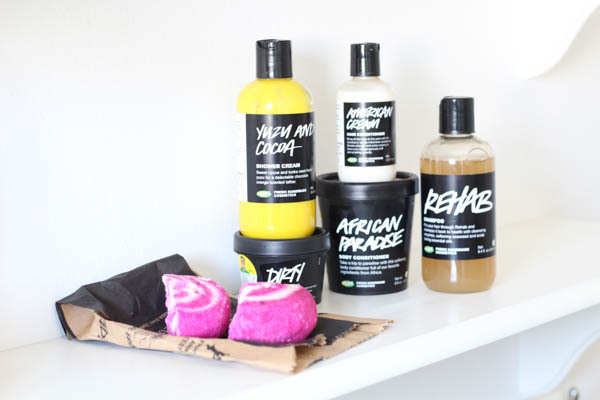 And if you're a Lush fanatic, then send me suggestions!